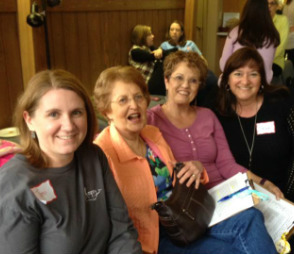 Check out the women's ministry page on Facebook at https://www.facebook.com/pages/Crossbridge-Womens-Ministry/303487783089620. 1. Meal Team - If you love to cook, or pick up take out, this ministry (along with the takethemameal.com calendar) provides meals to those who have had a baby, lost a loved one, are recovering from surgery,etc. 2. Wedding & Baby Shower Team - If you love to shower brides and moms to be, or if you have a home you'd be willing to open to host a shower, please sign up for this team. 3. Outreach Team - This team will organize ways to help beyond Crossbridge, such as Honduras mission trips, UAB Campus House, Love Lady Center, etc. If you feel led to help with needs outside of our church, this team would be a good fit. 4. Encouragement Team - If you can send a card/email/text, make a phone call or visit those who need it and make new folks feel welcome, join this team. 5. Decorating Team - These ladies assist in decorating for church events such as Fall Festival, Christmas Banquet, Bunko and other events at CB. If you like to make things beautiful and have fun, this would be a great team to join. 6. 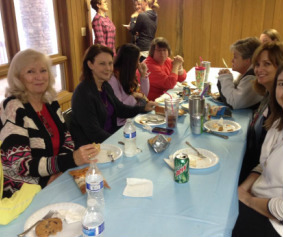 Prayer Team - If you'd like to be on this team, please email Annette Henderson (ahenderson2994@charter.net).